Equipped with the ETA 2895-2 automatic movement, this timepiece in stainless steel offers basic timekeeping functions with centre hour & minute hands and small seconds dial at 6’o clock. This timepiece is available in different dial versions: The black dial has light green luminous hands & Arabic numerals; silver dial has orange luminous hands & Arabic numerals and, blue, brown and silver dials feature nickel hands & Arabic numerals. 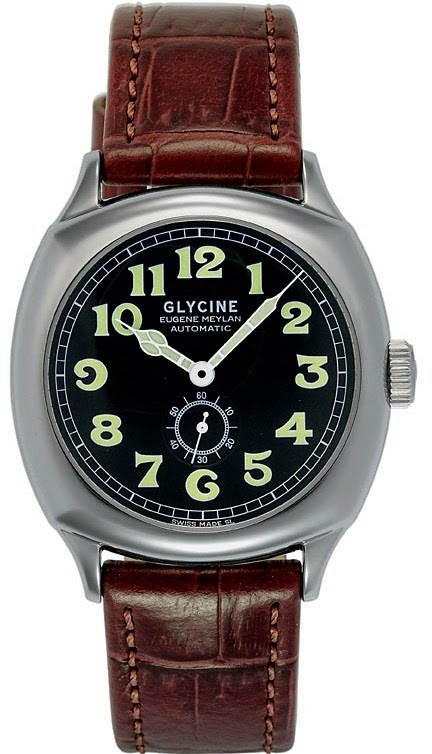 The self-winding movement is equipped with a rhodium coated oscillating weight on ball bearing, and finished with “Côtes de Genève decoration. 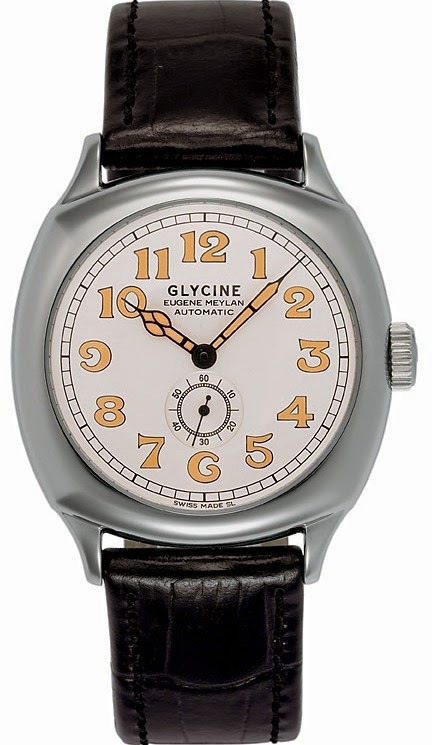 The Eugène Meylan Automatic timepiece is also available in gold plated stainless steel version. Finish: rhodium coated oscillating weight on ball bearing, decorated “Côtes de Genève”, bridges rhodium coated and decorated “perlé”, visible screws in blue finish.